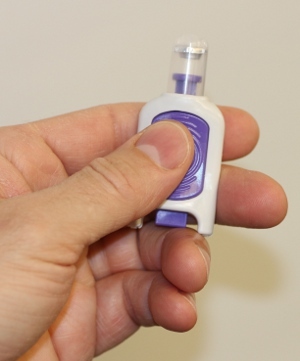 Systemic intranasal drug delivery is expanding as a preferred route of administration because it avoids the issue of drug degradation in the gastrointestinal tract, provides a faster onset of action, is a painless alternative to injections, obviates the need for biohazardous disposal of needle sharps and can be self or caregiver administered. Nose-To-Brain delivery is emerging as a non-invasive means of bypassing the Blood Brain Barrier to administer therapeutics for the treatment of neurodegenerative disorders such as Alzheimers, Parkinsons, Huntington, Traumatic Brain Injury and Glioblastoma. Mysticâ€™s platform approach provides the option to optimize its Nose-To-Brain dispensers for neuroprotective and neurodegenerative therapeutics in liquid or powder forms. Nasal delivery applications include therapeutics for neuroprotection, neuroregeneration, pain management, migraine crisis, hormone replacement, seizures, emesis, anxiety & depression, hypoglycemia & diabetes, growth deficiency, proteins & peptides, vaccines, immunomodulators and biomedical countermeasures. Our delivery system solutions offer a number of patient benefits and advantages to pharmaceutical manufacturers.